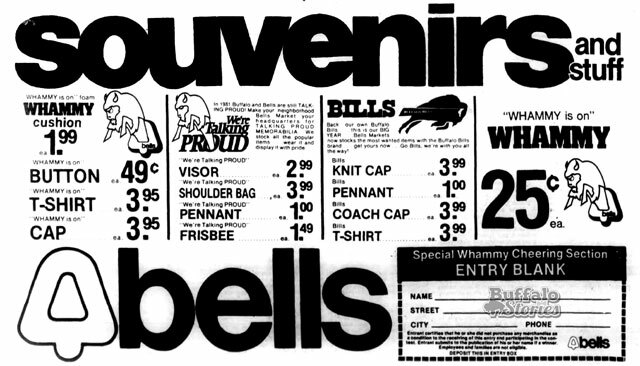 Buffalo in the ’80s: Talking Proud! Even when it was new– and especially now, to the outsider — the “We’re Talking Proud” jingle and TV spot were at best lampoonish and cheesy. For Buffalonians, however, the song is a communally understood representation of our complex feelings about our hometown. 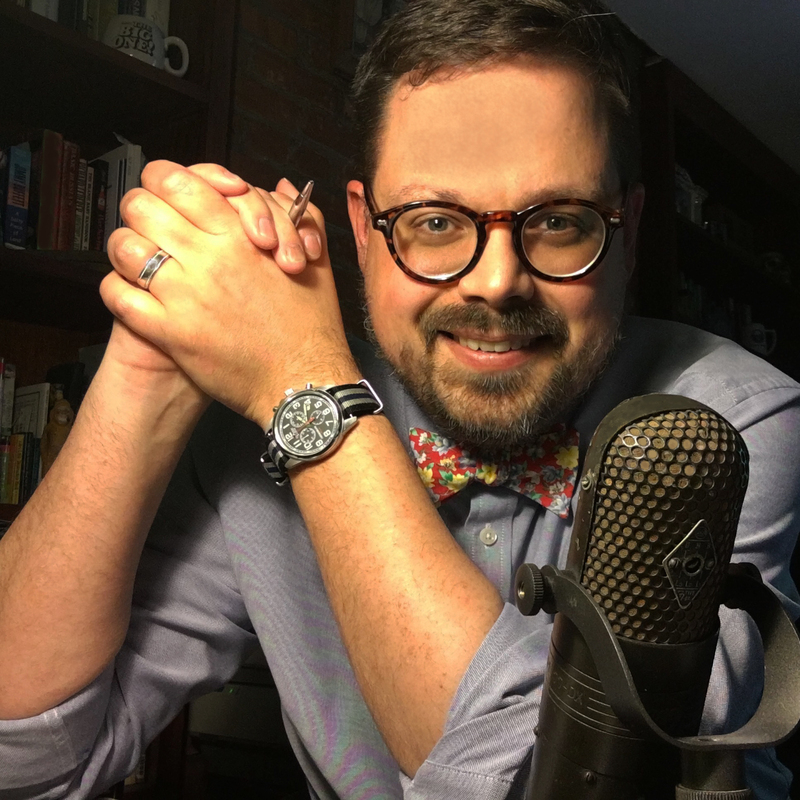 The whole campaign was created to help us coalesce those feelings as a community. Surveys showed people wanted to stay in Buffalo, and loved the fact that it was relatively cheap to live well here. People loved the number of restaurants, the abundance of cultural and pro sports events, running the gamut of taste and price. 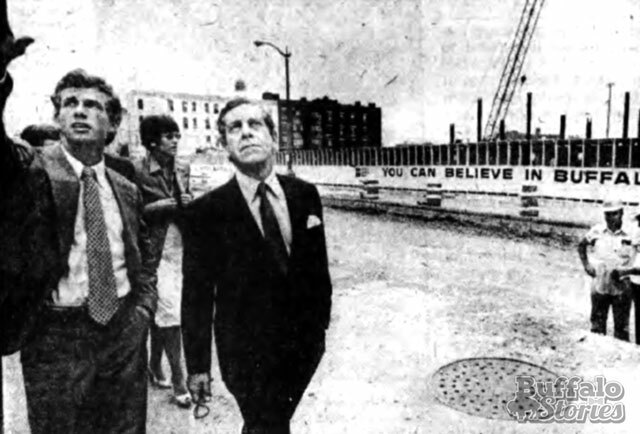 But in 1982, Buffalo’s unemployment numbers hit 15.3 percent, in the same year that Bethlehem Steel announced the shuttering of what was once the world’s largest steel manufacturing facility, and once the home of more than 20,000 jobs. “The problem is (the people of Buffalo) don’t know too many facts about why they’re proud, and they’re sort of backward about standing up for their city,” campaign chairman Robert J. Donough told the Associated Press three months after the launch. 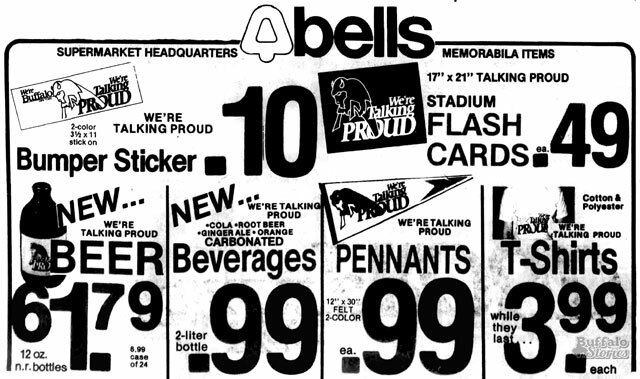 At the high point, the Talking Proud logo was licensed to 85 firms producing 135 products, from lollipops to an $11,000 Buick Regal furnished as a rolling testament to pride in Buffalo. The television ads were romp and pomp, and happy and high-flying, but the print ads, featuring small groups of Buffalonians, were a bit edgier. “We’ve got a spirit and we’re talking proud…. We’re fed up with all the insults, all the jokes about our city. We Buffalonians have had it right up to here. We’ve got one of the best communities in the world. Western New Yorkers were keenly aware of the problems at home—and for quite some time had been tired of hearing about those problems from outsiders. After days and weeks of Buffalo Blizzard aftermath footage dominating national newscasts in 1977, Johnny Carson, whose Johnny Carson-brand suits were manufactured here by M. Wile, made Buffalo’s blizzard cleanup a longstanding punch line. Even Howard Cosell, often derided for his sports analysis, specifically inspired the ire of Western New York with a jibe insinuating that Buffalo was a lesser “clone of Cleveland” on a Monday Night Football broadcast. One Buffalo jab blew a bit out of proportion, but wound up with kumbaya. 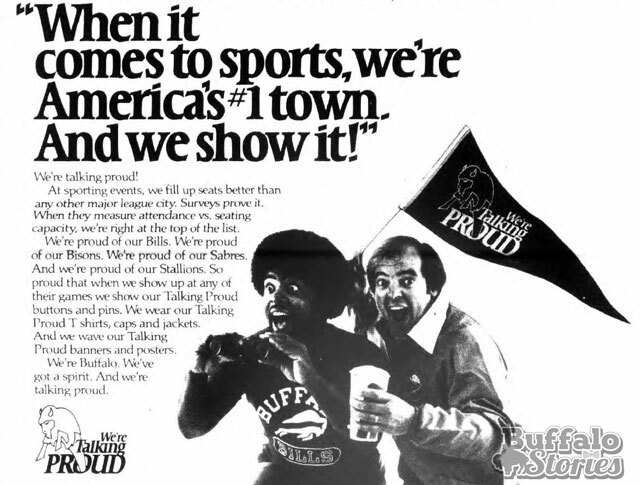 “Talking Proud” was great for Buffalonians and showed outsiders that we cared. But in national talk about the juggernaut, more people echoed the negative notions the campaign was meant to dispel. Again, the print ads were far more succinct than the happy jingle. “Give it to ’em, Buffalo. We’ve got an earful to tell America about living here. “For starters medical care, food prices and home costs are among the lowest anywhere. So are our crime rates. Our schools are some of the best. Plus we get a gentle prevailing wind off our lake that gives our city four distinctive weather seasons and some of the best pollution-free air around. “Sure, some of us moved out of Buffalo. We tried other cities like Chicago, San Diego, New York, Houston and Memphis. “Funny thing, America, a lot of us moved back. We missed the short commuting times to work. And the cheap parking rates. We missed Buffalo’s unique nightlife. We missed quiet places like Delaware Park, the Marina. We missed neighborhoods that pull together, stay together and are being restored and renewed together. “In short, America, we think the quality of life around here is better than a lot of places you offer. There were many people who can take credit for giving life to the “Talking Proud” campaign. They hired Alden Schutte, the great ad man and artist, who oversaw the creation of every facet of the campaign. Then there’s the actual voice we can easily hear in our minds without trying too hard. 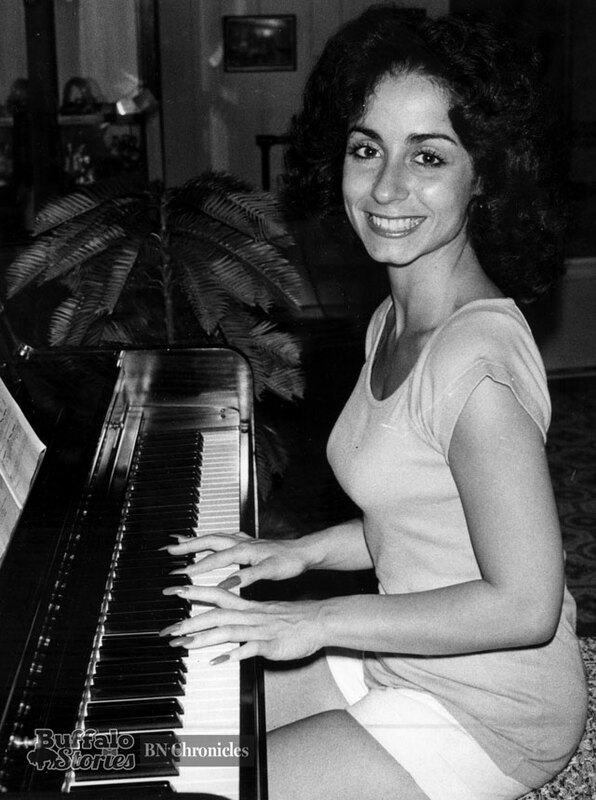 Teresa Giles, still hailed as one of Indiana’s premier session singers, was described as a “27-year old farm girl” when credited with singing the original track, recorded at Wolftrack Studios in Indianapolis. The personification of Talking Proud, however, had to be the exuberant young actress selected to star in the TV spots. Terry Licata grew up on the West Side, and had tried out for a role in an AM&A’s commercial. 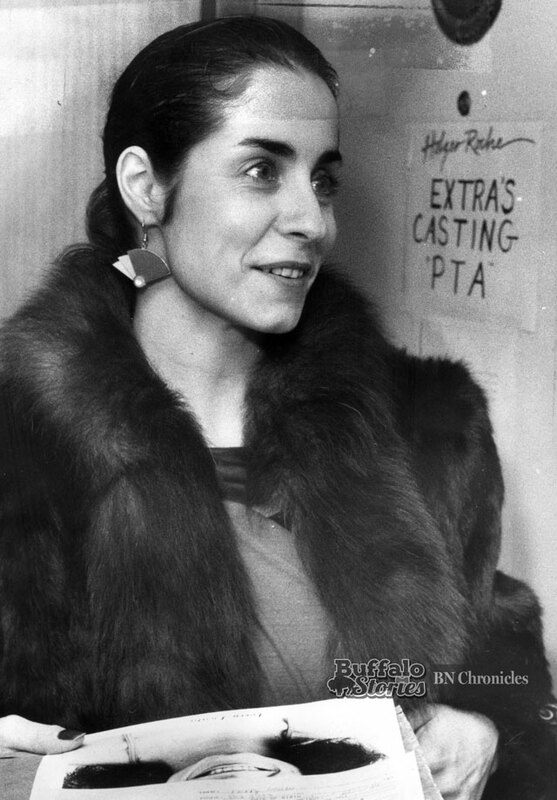 That didn’t work out, but producer Schutte remembered her, and the rest is history. There’s also Joe Cribbs, Chuck Knox, Joe Ferguson, and the early ’80s Bills. When the Bills beat the defending Super Bowl champion Pittsburgh Steelers and the “Talking Proud” song blared from the Rich Stadium sound system, 80,000 people danced and sang. 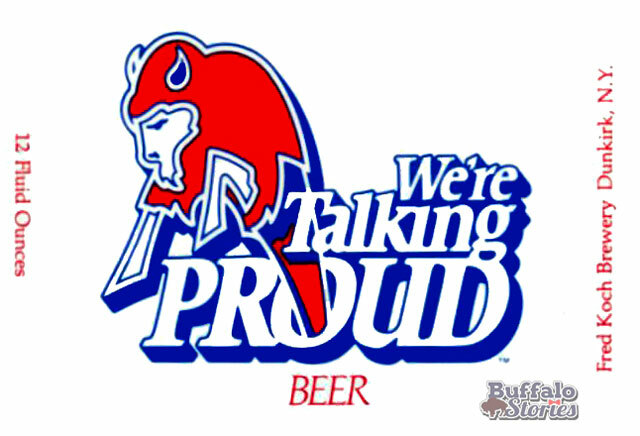 And we haven’t stopped showing that “Buffalo’s got a spirit” ever since… talking proud, talking proud.